Product Details-Ingredients-Wheat bran, soybean meal, corn, rice, lucerne meal, full fat soybean, alfalfa, carrot meal, yucca extract, antioxidants (BHA and BHT), artificial colourings, vitamin A acetate, choline chloride, vitamin D3 supplement. Suitable-Rabbit.Quantity-1 Kg. 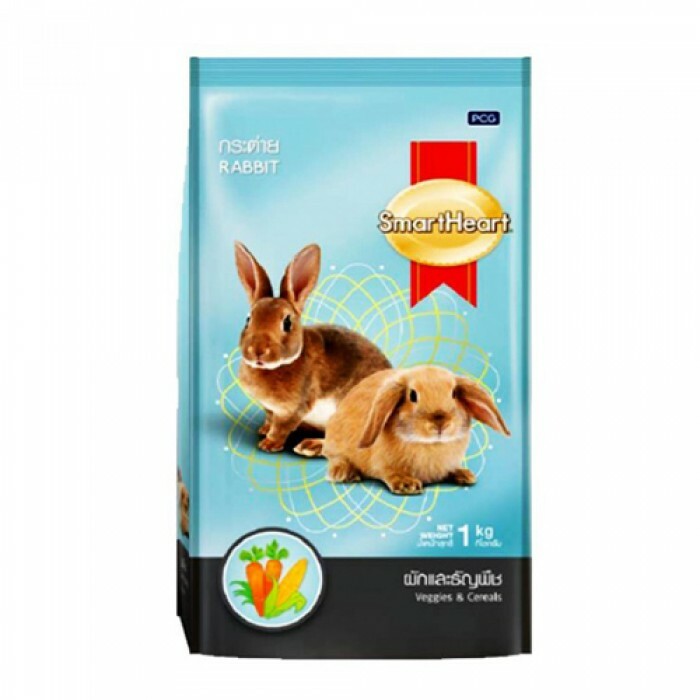 Product Information -Smart Heart brings complete food for rabbits which is enriched with the goodness of veggies and cereals. It consists of balanced amounts of proteins, fats, carbohydrates, vitamins and minerals that rabbits need for a healthy existence. The complete food for rabbits supports the growth and development of your pet. There is biotin which promotes thickness and lustre of fur. Vitamin C boosts the health of immune system and reduces stress, beta-carotene helps to delay aging of cells. Other important vitamins (like A, E, D, B1) work to improve vision, aid reproductive system, build strong teeth and bones, support nervous system.